Maintenance of a wastewater plant can be labor intensive. Placing pumps and mixers, lifting them out of tanks for maintenance; it all takes time and effort. 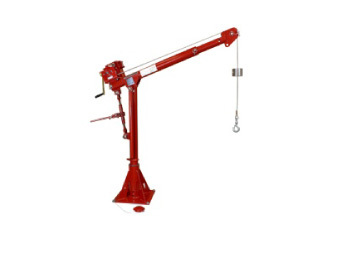 Portable and stationary davit cranes from Thern help boost efficiency of these operations. So whether it’s pulling sludge carts, positioning screens or positioning UV panels, we have what you’re looking for.